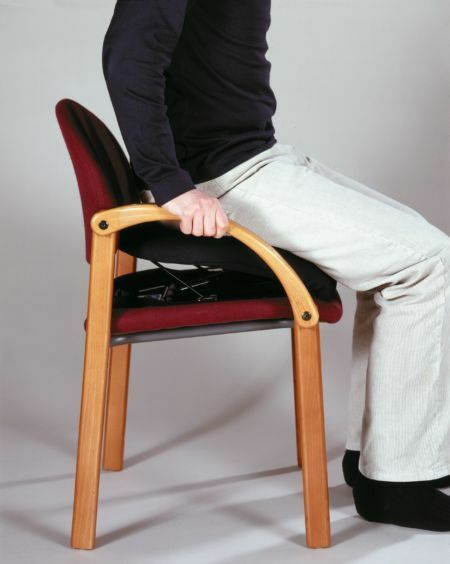 A portable, lightweight, lifting cushion that transforms any chair into an automatic lifting chair. Self-powered and easy to adjust to a user’s weight. It provides a stable, gentle lift that supports up to 80% of a user’s weight. It has a built in carry handle and flattens for easy transport or storage. 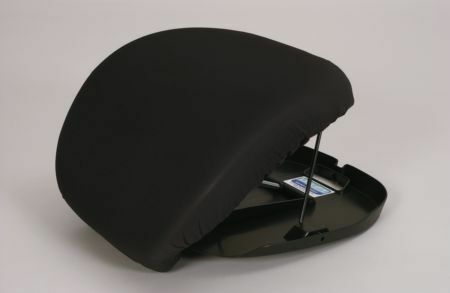 The memory foam cushion conforms to the shape of the user’s body providing a superior level of comfort. Supplied with a black, waterproof cover that can be wiped clean with a cloth or removed and machine washed, making it ideal for use in any situation.